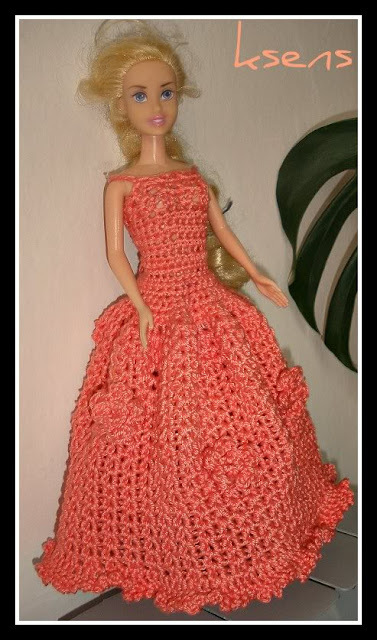 I have quite a collection of unique handmade Barbie dresses. This is only a part of the collection, since I am still in the process of making them. But I can not wait to finish all of them before I post them, so here they are. 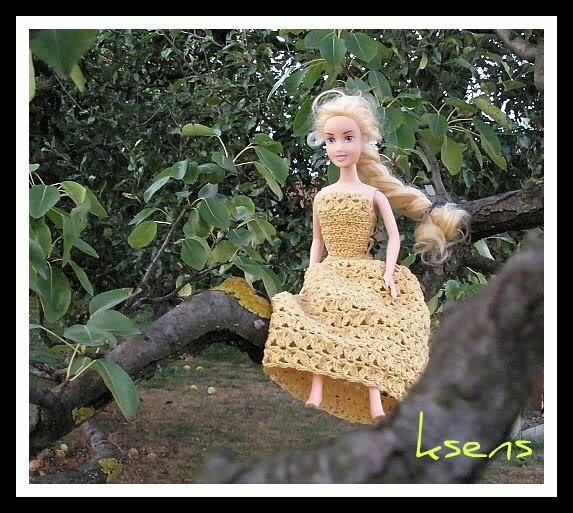 Golden Gown - it's actually a two-piece dress. 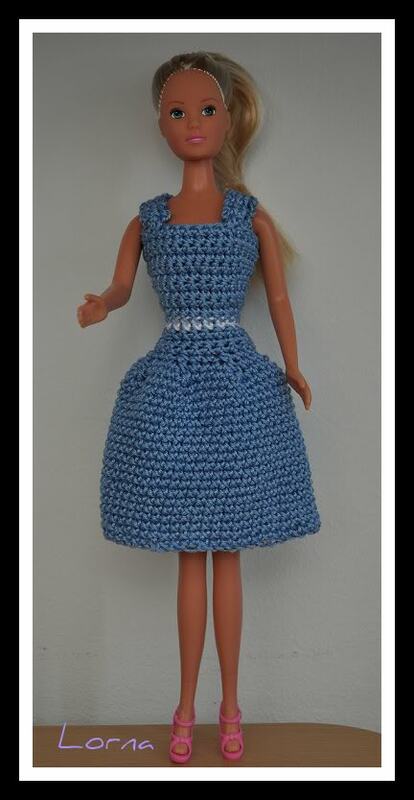 I made the top and skirt separably to make it easier to dress the doll. I got the lacy pattern from MyPicot.com. Red two-piece suit - supposed to be a bussines suit, but somehow ended up a bit too....wel, lets just say too revealing. 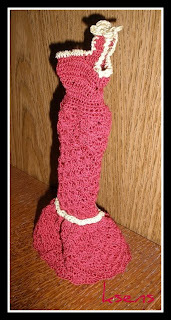 Red evening gown - this is the first Barbie dress I made. 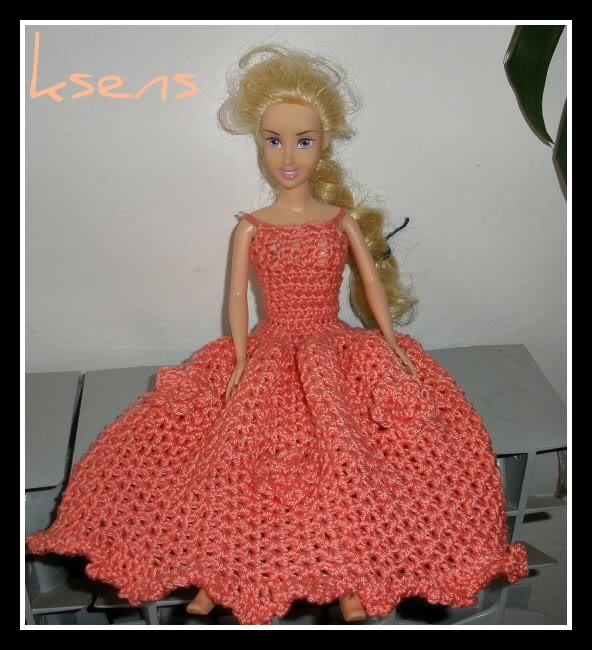 I made it without taking measurements, so it ended up a bit too small for a regular 11,5 inch Barbie doll. Peachy flower dress - pattern for the skirt again from MyPicot. Crochet hook size 3,5mm/E.